The intelligent, no-code app platform for everyone. Create apps to transform your workplace. "Great App for Detailed Check-out/Check-in's on Rental Vehicles"
It provides a great tool for checking out and checking in rental vehicles and ensuring that every detail is covered. It won't allow a renter to exit the procedure without answering all of the required answers. It allows for pictures so that I always have before and after shots which protects my company and the renter. I can use it for multiple purposes outside of check-out/check-ins as well to keep quality control on procedures and make sure that all of my fleet is cared for and maintained in accordance with procedures. It could be difficult for someone not so great with spreadsheets. I have to handle the input, output, data changes, etc. myself. I have a small business, but fast paced so I like to leave my apps prepopulated for efficiency and I don't have anybody else on staff that can do it. The more knowledgeable in excel or google sheets you are and the logic and formulas therein, the more in depth the app you can have. It's great software and most of the templates are probably VERY user friendly. I just happen to use mine at level that requires a good knowledge of spreadsheets. Reducing costs/expenses for damages not reported or found due to poor check in/check out procedures. This results in higher net profits. This also ensures that all of my vehicles are repaired and that the responsible party takes care of the expenses whether that is the renter or my company. Since the units are all consigned, it also ensures that all owners that their vehicles will always be returned to the condition in which they originally brought it to me. In short, quality control, safer equipment, happier owners, and happier renters are the end result. "AppSheet provides outstanding opportunities for educators"
AppSheet is continuing to grow and develop. It is much more powerful now than when I began using it a year ago. There are several capabilities (better integration with mp3 files, etc.) that I'm still waiting for. On the other hand, I expect such issues to be resolved little by little. Also I would like to see sync times improved and background syncing on iOS devices. If you want to develop an app for students and then take advantage of Google Sheets sharing capabilities (which, in my case, allow me to follow my students' progress), then I think AppSheet is the best platform you can find. I've used AppSheet to with Google Forms to get real time input (questions and comments, mini survey results, etc.) from students listening to my lectures, and then display these results on my computer screen in a way that is far superior to what I could do with Google Sheets alone. Students have responded very positively. Moreover, I've been able to do this on App Sheets free plan. Paid plans open other possibilities but AppSheet can be quit useful to individuals who use it for free as well. If you can work with excel formulas, you can create your own app. With lots of sample apps, you can find something that fits your needs. You can tweak the sample apps for your data or create your own from scratch. Free to start! Support for errors. However the support community is growing. I feel the documentation can be improved to show actual examples and a better cross-reference section. Expressions would be better if it used real values to explain expression options. Free to start and easy to use. Start with your own excel sheet or use and manipulate a sample app data.Remember if you put garbage in, you will get garbage out. Proper planning, prevents poor performance. Once you are committed to your data and references, it is very difficult to manipulate and change order without getting errors. Easy app to use and learn. Appsheet provides a one-stop shop for my property management. I have access to vendors, tenants, owners, inspections, and can take new inspections and photos with inspections. I also created a girl scout cookie app to help keep track of who orders what and who owes what while workflow allows emailing of orders and payments. Appsheet allows me to create simple and not so simple mobile apps from spreadsheets without any knowledge of code. I have been looking for a platform to create an app that would be simple enough to use by anyone and here, I found it! It supports multiple platforms and makes use of data from multiple sources. It has user friendly interface that allows to monitor the functionality of the app as it is being built. I have been using the apps I made with Appsheet for about three years, I really have no complains... I suppose the pricing of apps when shared with other users is always something to not be happy about, however if used for business it's a non-issue. Definitely try it! If you are detail oriented, like spreadsheets to organize your life and enjoy creating your own tools for business, this platform is for you. I'm using Appsheet to keep track of interactions with my clients, to send invoices and reminders about the next service, to schedule future jobs, to keep track of outstanding accounts and more, all from one easy to use app that runs on my phone and on my desktop computer. It eliminated double entry for me. I have also made apps for other businesses and people. "Does exactly what I need it to do. " 1) The apps look great and work very well for the people using them in the field. 2) Since the data in the apps is stored in Google Sheets, it's very easy to create whatever custom reports I want. I honestly don't have anything that immediately comes to mind. Every once in a while something comes up that I can't do, but these are always really specific and quite minor things. - Fleet management / repair and maintenance programs. This is all very important stuff to keep track of and manage. Without AppSheet we would have had to hire 1-2 additional full time employees to manage this information. "perfect software to impress your managers"
Ease of implementation; quick development, from idea to roll-out in a day. Easy to use management console, good security and audit functions. Workflows easy to set up and test. Mostly I am impressed with the amount of work AppSheet team puts into this platform, it is constantly listening to its' users and improving . We currently have 10 apps in use, one with 185 users, the rest have 30 to 80 users. They are easy to manage and improved the workflow of information in our business. I didn't find many flaws with AppSheet, mostly around the editing interface. For example adding columns would mess up the order of columns in the slice. Annoying but easy to sort. Most of these functionality issues are/were already addressed, there are updates and improvements almost daily. We use Google Sheets as a backend. For non-business critical apps it has proved to be very reliable. As long as you are aware of GSheets limitations- maximum number of cells, formulas, concurrent users - it can be a very cost-effective solution. We have 250+ mobile workers, and while we have software solutions to send the work details, we didn't have anything for the back office processes. Annual leave requests, overtime claims, fleet management, assets, were all managed via paper forms. Now we moved all these processes to mobile apps and mobile colleagues are happy they don't have to drive into the office to chase a signature on a form. "Amazing Product, Even More Amazing People!" First and foremost, the customer service is superb. Every time I've had a question or just couldn't figure out what I was doing wrong, the AppSheet team was there to help me. With that said, the product itself is awesome! AppSheet has done an amazing job of making it complex enough so that it's a very powerful and versatile product, but simple enough so that you don't need to know how to code in order to use it. That is a very difficult task, but one that AppSheet has mastered beautifully. Lastly, considering all of the features and benefits this product has to offer, the cost is minimal. Overall, I couldn't be happier with the product and people. THANK YOU AppSheet!!! In the 1.5 years I've been using AppSheet, there have been two times where my app briefly stopped working. I believe both times were because of issues with Google's API limits, but I'm not positive. Either way, both times the issue was resolved VERY quickly and without any action required on my part. I think that as long as you are going into it with the understanding that it's not like a "plug and play" product, and you are prepared to put in time to learn the ins and outs, you will not be disappointed. In fact, I think you'll be pleasantly surprised at how much you can actually do with this product. With AppSheet, I am able to give our employees easy mobile access to specific data that they otherwise wouldn't have while on the road. Also, I have been able to create a beautiful dashboard that shows all of our company's important sales numbers and financials, both from prior years and the current year-to-date. It is so helpful to be able to view all of this info on the fly, as it is automatically updated in real time. This platform is usable by anyone who can work with spreadsheets and understands formulas. It allowed our company to minimize the use of paper in multiple areas, and also allowed us to create immediate notifications to address issues in a timely manner. No more information falling through the cracks. I like that you can set up workflows and actions to manipulate the data within the app, and that you can now include charts to depict information at a glance. I dislike that I can't add attachments to workflows in any format, but that they need to be in pdf. I'd also like to be able to customize charts more, similar to pivot charts. Start with what you want, and use the community and YouTube videos to find out how to do it. In my experience, someone else has found out a way, or you can combine multiple people's ideas to fit your needs. We have been able to streamline internal reporting, and communication with customers to let them know what we are doing on their properties. This puts us above the average in both areas and allows the company to focus on improvements outside of these administrative tasks. Ease of use of the programming panel. Continuous update of the programming panel. Quick response to questions from online team. Program Coding is uncomplicated and easy to use. There is good coverage of support on social media and internet. I can create Apps using my mobile phone. Need printing option direct from AppSheet. Choice of colors inside App are limited for the programmer. Ease of access to to stored data through searching. creating work groups and automatically emailing them when storing or modifying data. Enabled us to daily chores much quicker. Drastically reduced use of paper and printing, and depending on the phones and PC for data entry and query. End users are able to see changes made by other users. There many other benefits that I cannot mention all of them. I had many files for ISO 9001 2015 and many files / documents employees. It was very difficult to share ISO requirements on daily basis. I was Able to do that using one App from Appsheet. After working for a business that was creating its own low-code/no-code application I was well versed in a range of these types of systems. After discovering AppSheet I was blown away with how easy it was to use, how helpful the technology was to get you started, but then also how flexible it was once you have a deeper understanding of the system. The UI far more intuitive than other solutions, the inbuilt example data tools and formula testing tools are extremely helpful in building complex formulas and verifying outcomes. The 'Start with Idea' section give me a lot of confidence that AppSheet really understood the core problem their potential users were trying to solve. It's hard to describe what I like best because the solution is so well designed. It's cheap, it's elegant, it's fast, it's scalable and most importantly (for our organisation), the community support and knowledgebase available to all users free and paid is like no other software, meaning that there is very little time spent wasted trying to 'figure things out'. We saw an almost immediate return on investment after our first suite of AppSheet applications where rolled out internally. The biggest limiting factor of AppSheet is some of the branding and layout options. However, to be able to create a system as flexible and as easy to use for the end-user (just put an AppSheet application into the hands of a user and they can use straight away) there are reasons why these limitations need to exist. Reach out to AppSheet early in the in the process as well as watching their weekly webinars. The team at AppSheet are extremely helpful in better understanding the product and pointing you in the direction of video and articles which help answer any questions. A number of different compliances inspections, incident reporting, vehicle management. It's enabled us to deliver solutions to problems in a matter of days, sometimes even hours, that in the normal the world would be time-frame, effort and cost prohibitive. "Spectacular and getting even better all the time!" What I like about AppSheet best is that it is very rewarding to learners because you are developing in real-time and often you can start with a template that most likely is doing something close to what you want already. It would be fantastic if there was a better way to back-up and document the settings of your Apps. You will spend countless hours resetting columns if you are someone that intends to add new features often. Setting are often lost when regenerating (rereading tables) after table updates. Also, when you are building your App elsewhere for a client perhaps it's nice to just have a doc of your settings to work from. AND... I wish I could see more column data on my screen without having to scroll the interior scrolling window so often (scrolling through large tables for settings is exhausting!) All these new scroll bars were a good idea in theory but load horribly even on powerful systems. As a small company that can't afford like anything...cost and capabilities! We really appreciate that in a day in age where everyone wants a subscription for everything. The everyday user of Appsheet can learn and have access to the power of Appsheet without spending money. Appsheet allows small projects enjoyed learning the Appsheet platform and it was very rewarding. I have come to realize that through time, technologies begin to stack and work with one another, Appsheet is nothing short of the most cutting edge technology that evolution has brought us too. It is literally for everyone and anyone can learn to at least use the basic features of it to enhance it's life. Hoy es imprescindible el uso de hojas de cálculo en cualquier empresa por más chica que sea. AppSheet permite a cualquier usuario interno de la empresa transformar de manera rápida esos datos en aplicaciones móviles, y si además tenés conocimientos en fórmulas de excel por ejemplo, podés crear cosas increíbles y muy avanzadas, que cualquier desarrollador externo demoraría mucho tiempo y sería muy costoso. Yo recomiendo utilizarlo con hojas de google, todo se actualiza en la nube. Increíble! Lo que a veces no me gusta es que demora en realizar cálculos en las hojas de cálculos, por ahí es más rápido utilizando fórmulas de la aplicación. También que ya debería permitir hacer Aplicación Web Progresiva. A cualquier usuario que utilice hojas de cálculo le recomiendo probar AppSheet, ya que les permite centralizar todos los datos, y tenerlos disponibles para su manipulación en todos los celulares que deseen. Y si además poseen conocimientos en fórmulas de excel, con más razón. Podrán hacer cosas increíbles. Utilizar Appsheet te permite tener la información centralizada. De lo contrario habría que actualizar distintas hojas de cálculo en distintas computadoras por ejemplo. Por más que ya se puede editar en la nube, sabemos que no son cómodas para utilizar desde el celular. Appsheet reemplaza eso. build with no coding & reasonable price was the main challenge I have faced, but with Appsheet it becomes easy to deploy any application and brand it with my name as well with. a decent amount of money and less time spending on building the app. the main advantage, no need for any third-party to control my ship. I rarely had issues to dislike it with appsheet, i used multiple applications and it was the best one among other database software. but sometimes applying a new formula or feature, will take longer than expected. Youtube videos sometimes don't show the whole steps. have to try multiple time to get through. Providing quick, accurate information and integrate different systems with App sheet. "An easy and fast approach to your needs!!!" This is a very versatile web application that allows you to create simple and some complex apps within minutes. I work in Commercial HVAC commissioning new equipment. Being able to create an app in order to seamlessly provide a solution for multiple techs to input data without having to delve into coding was a huge relief. I had been wanting to create this for a long time, and now I don't have to wait until I gather years of experience in coding. Despite its definite ease of use, there are definitely times in which some things don't make sense right away, specially if you watch a YouTube tutorial that was made on a different version of the software. I'm not sure if AppSheet has one already, but perhaps a forum in which one can post an intended problem domain and AppSheet can contribute some of the challenges they'd meet. I am removing the bulkiness of paperwork that often gets lost during commercial HVAC commissioning and maintenance by creating an app that localizes the information on the field. We are also in the midst of overhauling our YouTube tutorials. We hope to have these videos live within a few weeks! "I've been creating apps with AppSheet for almost a year. I am very happy with it." Integrates with Google/G Suite - necessary for our use case as we are required to comply with hipaa guidelines, and google is the least expensive cloud service I have found that achieves that, and includes the BAA. It is very flexible; I have been able to integrate a variety of systems within this service, and it has addressed nearly all of my needs so far, including custom apps for billing, high frequency clinical data collection, and client/contractor database. The AppSheet developers are constantly making improvements and are super responsive to their users. I have received a ton of great help and advice throughout my app-making journey. Here's the thing, folks. Unless you have IT/Development/database management experience, or some familiarity with these, expect to put in some hours. Potentially a lot. If your like me, and have fallen into IT/data management as a punishment for your competence but have little to no training, be warned: there is a learning curve. I honestly believe there is nothing this program can't accomplish as it regards data management, but the more sophisticated your needs, the more you are going to have to learn. No-code doesn't necessarily mean no effort. It just means that something that may have previously been beyond your ability to achieve (custom app development) is now possible. And that is really exciting, especially for small business owners like myself. Suddenly you are able to hold your own against big corps. But yeah, it's taken me a year of working with this program to really confident and comfortable with it. But it has been entirely worth it. Take your time to learn the process if you are not familiar with this world. It pays off. Integration, mobile data collection and centralized storage. Security. AppSheet is extremely easy to use. It took a little bit of playing around with to understand the mechanics, but that's only because I like the challenge of figuring things out myself (and I didn't use the tutorials). The most difficult thing about AppSheet is that if you misclick something in a configuration or form detail setting you can break the entire process. Thankfully that's relatively easy to figure out and fix due to all the red error messages that pop up on validation checks. At the very least, I recommend you check out this product and see how versatile and full of options it is! We're using it for package delivery/pickup audits, forms, appointment check-ins, etc. It has significantly cut down on the amount of paper being used in our office and allows us to check up-to-the-minute statistics without needing to go to the reception desk. "Google Form to Mobile APP with No code "
1. Converting Google Forms to Mobile APP with No code . 8. Works smoothly with iOS as well . More case studies (sample mobile app) can help understand features more. Workflow rules are bit difficult to understand and implement . Errors shown during deployment takes longer time to understand and locate it in the menus. debugging time increases . Charts -> Different colors for different catagories (levels) in the same chart is missing . Operations on Slice feature not available in trial mode. Easy for gathering data . Smooth and hassle free deplyoment of mobile app . Can connect to multiple application providers . Capturing data from distributed geo locations and collating . Creating dashboards in mobiles . Easy to use GUI makes app more intuitive. No extra skills required for usage. User learning time is faster. AppSheet provides a bridge between spreadsheet and relational database. I've been an avid MSAccess developer for years and have been looking to bring simple relational database functionality to mobile devices. AppSheet does that by allowing you to relate different sheets in the same (or different) cloud based workbook(s) in a simple, rapidly developed format compatible across differently sized mobile devices or even in-browser. While the comparison between AppSheet and relational databases are clear there appears to have been a deliberate decision to not use db-like terminology in the app. I would have found it easier to get going if such terminology had not been avoided. Running club membership management; running club kit inventory management. Having the same dataset instantly available to all club committee members to edit has enabled us to improve the quality and accuracy of the database enormously. Many of our members are sight-unseen to us, but having the app to hand has enabled us to identify those members and make personal contact. "AppSheet: a versatile and robust platform for creating business apps and solutions"
Over the last year with AppSheet our company has created the framework for an ERP. Every employee interacts with AppSheet every day on a number of devices. The platform is easy to manage and maintain. Support is solid and updates/features are being added constantly. Although billed as a "non-coding" platform I would suggest that app creators have some experience in high-level excel and database management. AppSheet's resources are great but if your starting with limited experience in the aforementioned areas then the app creation process could be frustrating to start with, especially if you don't have time to dedicate to learning the platform. AppSheet is empowering. I run a small field service business (~30 employees), and built our entire field force management system in AppSheet. It's fully customized and optimized for our specific business and business processes. The user sync times are slower than I'd like, but we've come up with workarounds to improve the sync time performance. This is a small business must have for any complex processes that are not well-served by vendors with industry-specific applications. I run several companies and AppSheet is a go-to tool in our O&IT toolkit. We do all of our client record management, workorders, service scheduling, fleet management, and basic employee information management in our AppSheet App. We also have apps for digital asset management, and quality assurance reporting. Our customer service has improved dramatically because we can provide real time information to the people handling calls and emails (without bothering the people in the field) and our administrative efficiency is at least 3x what it used to be before AppSheet. The online documentation can be a little vague and the Webinars while highly usefully are often a bit protracted. Customisation of Color themes would be useful as would testing of workflow rules in addition to expression validation. I provide business incubation and consultancy services to SME's and the provision of business productivity tools compliments the work I do in helping these businesses and provides subscription income. Clients have access to tools tahe work around their needs and are affordable in their growth phase. "Start as a form to update a spreadsheet and end up as a medium complex app"
Start with a Google spreadsheet and end up with an app. As I understand how it works is amazing for me that all the work about design the forms buttons and so on is already done, with a good look and also intuitive. Also most of the operations we normally need to set in a app, more than CRUD operations are automatically done by AppSheet. So I can concentrate in the things that be must be done by the app. And because I can use a spreadsheet as a database I can use all I know about spreadsheet functions to more complex needs without learn a programmer language. The pricing plans are very reasonable. Lack of printing options and report tools. We can do a lot to have reports from the data on the screen, but no simple way to print them. We can't print what we see in the screen mainly from lists. As a workaround I have used some complex ways that goggle sheets offer to build URLs to pdf and use them in AppSheet. But for this a more deeply goggle sheet knowledge is needed. If you have never programmed before, but know something about databases like Microsoft Access or you are good in Excel (or better in Google Spreadsheets) you can start to build simple apps and enjoy the way to have the things to work. In a while people will start to think you are a true programmer (although you use no code to build that apps). Or you can start with lots of sample apps and modifying them to your needs. I start creating an app to enroll people to a seminary and control check in attendance and print certificates. Than another one to allot people to rooms. Now I have build apps to control incomes and expenses for nonprofit and religious organizations with medium to high complexity. "An Intuitive and Versatile Platform that helps all business users get the most from their data." Free development Platform - you only pay when you have what you need and deploy it. Lack of automatically generated documentation - It should have the ability to export schemas to PDF as a minimum but preferably Excel(CSV) or Google sheet. Whoever is going to develop, manage and maintain your application, should be what I would describe as a Power user. They do not need to be a programmers but must be comfortable with advanced use of Formula, expressions and use of data. We have developed Solutions for Auditing, Time logging, Delivery and Collection services amongst others. I am able to deliver our services to Organisations across the world from my Home Office, I can work when I want or need to. I do not need to commute to work. "They've saved my business THOUSANDS!" I don't have a coding background, but it was super easy for me to put together a professional looking app in less than a day. Cant think of anything! Super quick support, and the program is completely intuitive. Our old work order system was completely on paper. That meant that every week someone had to sort, scan, and file the work orders, manually add up the hours, and hope no one lost or damaged their work orders through the week. Now I have up to the minute accurate reporting for where ppl are on a job site and what tasks they are completing. I've added a few excel formulas, and now payroll and invoicing is almost completely automated. Plus, my workers love the convenience. "Best no-code app building platform hands down!" Very easy to set up and integrate with you existing data in the cloud. Appsheet's 'database like' table references are very intuitive to set up make your app views remain in context! Robust security features, multiple data sources, very modern UX design, workflows, simple to learn but extremely powerful formulas on and on and on. I've used appsheet for close to 2 years now but the most impressive bit is with all the goodness, the appsheet community and leadership is extremely responsive to support when you have challenges building your apps and are very agile in adding new features to keep the app easy to use and make it more powerful. This is without a doubt the best no code app building platform i've used.. and i've tried many.. If you have any process that you want to move to an app.. There is a >90% chance you can accomplish this with appsheet in less than half the time you expect :). give it a try. Salesman activity documentation in the trade, inspection, expense tracking.. , HR feedback and coaching, Surveys in the trade, asset verification. Appsheet has not only made our teams more productive but has also enabled us to keep all our data in context and alleviated the need for manual and mundane conversion of paper based inputs to electronic documents. "Powerful, intuitive and beautiful user experience"
The elegance of the end-user interface of the apps I build with appsheets, is very professional. Many of the users of my apps are hostile to technology and appsheet creates apps that even some of them say are better than using paper. Also the insanely good customer support. How many software products have the actual developers answering userforum questions in real-time? This includes the CEO of Appsheet, Praveen who is available to help end customers on a daily basis. It is a "No-Code" platform, designed for people who are comfortable with a spreadsheet expression and I simple Access database, but not code. Although I think it is amazing how powerful and customisable the framework is; I sometimes wish I could get deeper under the bonnet. My business is about empowering individuals in a complex welfare service system. Appsheet de-medicalises, de-centralises, and simplifies the many types of data collection and sharing activities that make lives better for people in my industry. "Do-it-yourself app making, powerful enough to rival anything"
Finally - the power of being able to create professional business tools without relying on external app developers. Very powerful features; integrates with databases or any data table stored online (such as even Excel sheets in Dropbox); ease of use enabling quick, even daily deployed iterations; free pre-deployment testing and setup of business apps; free unlimited apps for personal use; the list goes on. Very happy to have stumbled over AppSheet. Seems like magic to your colleagues. You won't be able to tailor-make the layout to the t. There are a number of data views to choose between, that can be formatted to varying extent. But the included data views are clean and diverse, and should cover most business cases. The platform is continuously evolving and new features/UX possibilities are launched weekly, so what you needed to make a workaround for yesterday, is tomorrow's piece of cake. Go through the main documentation and look at the many sample apps where you can go under the bonnet to see how it was set up. We are building a process management system to automate the project collaboration of a global network of 100+ companies. Using AppSheet saves us a lot of money that would otherwise have gone to an app developer. AppSheet makes it very easy to create solutions for short or long term needs with little to no coding experience necessary. As a lifelong developer I found it to be plenty powerful, and its simplicity makes the applications easy to modify for those who are not developers at heart. In a "it's both good and bad" category is that the system is constantly growing. New features are being added everyday and more powerful tools are being incorporated to aid in the development of your apps. This is also bad in that once in a while, a new feature will interfere with previous development. A small price to pay actually. It costs nothing to try it, and you will be very happy with the results of your product. One application that was built was for a friend of mine that is a trainer. He can not afford a "developers" time to build a custom app, nor does he have the knowledge to do it himself. With AppSheet, I laid out the framework and he can use it for the low monthly "per user" cost. I also just completed a fast "response collection" tool for a major federal client of my companies. "A great "agility enabler" - from rapid prototyping to deployed apps at lightning speed!" Turns spreadsheet and "table" structured data sources into multi-platform apps extremely quickly. Up and running in minutes, and can just tweak and adjust all you like. This is not only a tool to layout an app, but it includes a very strong set of automation as well as app management tools (versioning, security, user management, performance, and even use history monitoring and analytics). The license model is great for rapid experiments, as all features are available for free if the app is not "deployed" and used by no more than 10 users - and always free for private use. This is an extremely good way to not only test the solution, but to actually create and use working apps for personal uses. The other thing I really like about appsheet is the team. They are extremely active helping users on the G+ site, and roll out new features quickly. This is actually quite amazing as it is not just restricted to paying users. Not much I "dislike" here. I was very impressed how fast I could "spin up" a very capable app. 1. The platform is really targeted at data-sheet driven apps, and not that well suited to pure content driven apps that need great aesthetics and creative design flows. 2. To keep things very simple and leverage the easy connection to spreadsheets, the relationship between what is happening in the sheets and the appsheet tables/slices/views can take a little getting used to. 3. The help is not bad, but building the needed field formulas (expressions) takes some time learning as the syntax is a bit "irregular" and the expression builder (as good as it is) does not have syntax help or even formula definitions to help guide the app builder. The platform allowed me to experiment with mobile apps extremely quickly, to test user needs and adjust on-the-fly. In many cases we can take large spreadsheets that are only easily viewed on monitors, and turn then into mobile-enabled apps. Being able to view data on-the-fly is great, but even better was the gain in efficiency of being able to add/update/delete information on a mobile platform and automatically sync the changes to the shared sheets other users are accessing. "Easy an fast way to create apps"
The ability to improve google forms in several ways and the possibilities that this creates. The use of sheets from google docs helps a lot to create online data bases. it makes the process of app development very easy and you don't need special abilities to use AppSheet. the way it's design is not complete user friendly. At the beginning it was hard for me to find the comando or actions I wanted to perform, it took me some practice to learn how the workflow is designed. I also think you can add command buttons and Thant the virtual with data calculations should be added to the sheet. Since you can add calculations to a form, there is a lot to do with AppSheet. Also the way it works with data bases is easy and fast. To use forms in research providing the participants to get immediate feedback. I was working in a form to get data from the subjects of research but I wanted to provide online feed back for them to know their results. "Best workflow automation tool ever"
Clean interface. Easy to navigate. All components presented in clear simple manner as compared to PowerApps. Numerous data connectors allow flexibility including future needs. Constantly improving platform, great stuff! Sync can be painfully slow sometimes. Limited data connector types to on-prem database. Offline use not available which hampers our deployment plans in countries without stable & reliable Internet connectivity ("but duh, it's SaaS" as one might say...but still, it's a great application, we want to use it everywhere, anytime). Extensive workflow automation from HR to Service Delivery to Sales Order/Inventory tracking. Major efficiency gained, people are much happier and most importantly, business needs can be quickly translated into working applications, and changes can be made on the fly. "No Code / Low Code solution for so much"
It is thankless to complain about such an outrageously cool service, but I find it can be hard to track down errors. Like, if I am making an app on a free account, that means -- necessarily -- that I don't want any functions unavailable at that level. I shouldn't have to track those down and turn them off. Tons of benefits. I've improved my communications with my family on shopping and chores, I've given myself the ability to better manage my time and priorities at work, and I've helped multiple families track the driving experience of their children. Applications are endless. "Very intuitive and streamlined app creation." I like the no-code approach to create a professional looking app and the easy management of external data (e.g. GSheet) . Important for me is also the offline use, geocoding with map integration, integration of QR code scanning, and image capture functionality. A big plus is that the data live in the cloud, and also that the app is cross plattform , and that the mobile app resides in Appsheet and not a separate app, thus circumventing the app store / play store. Can get expensive with many users when paying on a per user base, in particular if the amount of users varies. I needed an easy to use mobile app to record date and locality data in the field, and an app that allows me to have full control over the app and the data without being a programmer. Have been trying to use ODK and if you know it then you know what I mean. "Create elegant and functional data collection apps in just a couple of hours without programming"
Creating elegant and functional data collection apps has never been so fast and easy. In less that one hour you can create a simple app. Whatever you can imagine you can probably create it with the help of AppSheet, from collecting data on the field, to register your food experiences, or to keep track of your books, and to whom did you lend them, to make sure you never loose one book again. All you need to start is a Google Sheet document, which you turn into a database for the app (and there are other database alternatives for more advanced / demanding users too). Brilliant! Starting the app on the mobile device was a little annoying, as it would always asks for verification to access the Google account. But it is much easier nowadays. Take advantage of the free prototyping, and all the how-to videos and webinars! Supporting research on Environmental Services, through the collection of data on urban green and blue infrastructures. "Excellent platform for those who wish to enable their business on mobile"
AppSheet team continuously adds features to the platform so there is really nothing that I dislike. A few more additions on the UX side such as use of addition of more fonts types, a more liberal use of color pallets in mobile color theme will help. A business in any field of specialisation and of any size can leverage the Appsheet platform to develop suitable mobile apps that can help their business. Of course the developer will need to have a flair of using spreadsheets as the platform uses expressions similar to spreadsheet formulas to build the logic. We have been developing solutions for hospitality industry, field inspections, learning solutions and more. As I develop more solutions, I realize that the platform helps the users in going paperless and with on the field mobile use solutions that enhances efficiency of doing business for them. Ability to establish data capture applications rapidly with little IT infrastructure. For simple time based calculations AppSheet provides the necessary start. However for more complicated actions the time calculations get quite complicated. If I were king for a day at Appsheet I would hire a full time documentation and tutorial writer. Yes, they have quite the catalog of Youtube videos from Office Hours but examples should not be a community comment sifting. Give this product a try for internal data collection. Look around for where you are generating piles of handwritten paper that goes into a drawer. You'll start with one application and two years later you'll have 20 and people coming to you with one of my favorite quotes, "I have a problem." You can generate a lot of IT capability without a lot of IT infrastructure. I believe many businesses place their funding in customer facing activities. When it comes to internal continuous improvement activities the business cases often sit on the back burner or wait until funding frees up. With AppSheet, we have transformed our internal data collection efforts. In the two years since introducing AppSheet we have gone from one application to now 20. We now collect what would have been hundreds or thousands of handwritten data points that were then typed. Now we take that information and display real-time progress on dashboard televisions throughout our facilities. AppSheet pays for itself every day. 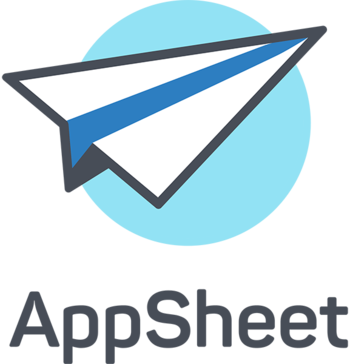 "AppSheet is a wonderfully flexible platform for adding an app interface to spreadsheet data." I am using AppSheet to create field survey apps for a research project. I wanted a mobile interface that would allow my users to read and update spreadsheet data while collecting photos of objects in the field. AppSheet provides exactly what I was looking for. It is so flexible, with so many options for customizing the interface, that I have been able to add a number of features to different versions of my field survey app. So far, I have not dreamed up any feature that I have been unable to add using the AppSheet formulas and other customization options. I have been able to make my apps do exactly what I want them to do, and my users have found the apps easy to use. There is hardly anything I dislike about AppSheet! Occasionally I have gotten stuck on trying to develop a new feature and I have thought that I hit the limit of what I could do with AppSheet, but by googling my problems and reading the user forums I have been able to figure out a solution in every case. I will note that although AppSheet is a no-code platform, if you want to do some more complex customization, then it helps to have at least a little bit of exposure to a programming language so that you are comfortable with concepts like if-then logic, constants, functions, and arguments. AppSheet has allowed my research team to work through a list of library books and collect data on them while working in library stacks at a number of different sites. With the mobile app interface, they can travel to different survey sites without having to bring laptop computers or find space to set up laptop workstations. "I use AppSheet all the time and am a big fan." AppSheet is amazing. I especially like the versatility. I can make an application for practically any situation, or to solve almost any problem, and even incorporate advanced features such as workflows. Their customer support is very helpful and responsive - a big deal for me as well. There is some learning curve but once you "get it", it is not only a game-changer but fun to use. Although the UI is great and can be customized to fit most needs, I would appreciate more flexibility in the "branding". Also once you start getting into the really powerful features like using their API, the pricing structure changes completely (corporate plans). However, to be fair, 95% of the features that most people or small businesses would normally use are available on the lower-tiered plans. (1) an app to manage student credits, including transfer credits, and produce elegant transcripts and various credit-related reports on-demand. (2) an app to manage school textbooks, track book assignments to students using bar codes, and produce a variety of complex reports related to textbook management. The app also tracks book losses, confiscations, replacements, which students have the wrong book or don't have a book for an enrolled class, sends invoices to parents for missing books, and many other features..
(3) An app to send mass text or email notifications to staff members. (4) An attendance portal for teachers. (5) A face-matching game for administrators, as a means of quickly memorizing students' faces. (6) An app that produces various reports related to student schedules. It gives you the ability to secure your processes and link them in a very efficient way! Basically I love winning a lot of time and avoiding a lot of mistakes at the same time! The price of the business account. I know the business model might need this but in my opinion the small companies are in real need of such great solutions. In my opinion they do not have the opportunity to test the full power Appsheet whereas they are the ones in reall need for this solution. Basically, I had structure, organization and information problems. All have been solved. I won time (a real lot), there is almost no human mistakes anymore in the process, Information between my services is really fast, I can see the potential problem before they arrive, my teams are a lot happier because their work is so simple now, and some mors. la simplicidad, sin ninguna experiencia previa logre construir una aplicación que revolucionó la manera en que desarrollamos varias gestiones dentro de la empresa. funciona correctamente con android, ios, o windows. es muy confiable y segura. se puede utilizar sin coneccion y se cincro cuando se restablecen los datos. los costos son muy accesibles. que todos los tutoriales estan ingles. y es difícil entender algunos conceptos. prueben el producto vale cada minuto y dolar que se le invierte. se creo una aplicación que guarda historial completo de una base de datos de nuestros clientes (en google drive) que en este momento supera los 3700. esto hace que todos los usuarios accedan al historial de los clientes desde cualquier lugar. oficina o calle. y accedan a la info mas reciente. y al actualizarse se generan informe o avisos automáticos. es imposible comentar todas la virtudes. "Powerfull and Easyest than others plattforms"
I was working with Progress and Oracle databases for 20 years, and with AppSheet i can create an mobile app i a few weeks, when with the 4GL languaje costs months of work to create all processes, events, trigers and procedures. In a non exclusive app for my customers, can not create an app with private sheets in customer plattform. If 2 or more customers use the same app, i can isolate their data with the filters security and a little setting information, but i need to preserve the data sheets i my drive. I think, for my experience and 20 years developing databases and objects oriented software, i can understand easy what is Appsheet trying to do with all the proceses, and i have facility to understand relational tables and databases. Simplicity and agitlity to create eficiently apps to manage customers data. "An amazingly powerful and easy to use App builder "
The time it takes from the moment you have an idea to the time you can see it working on mobile phones and web browser is minimal. It has the capability of Hot Development - which means you can deploy changes to the app while your users are using it and they will sync with it automatically. It "understands" what is important for business application and spare from you the unneeded details. Their support is incredible. Debugging capabilities need to be improved. I truly recommend using this product for developing business application. I automate all the company activities. Including Business Development, Purchasing, Employee recruiting, Project control and more. As a startup, Using Appsheet, we can operate like a well organized company with full control and process management. "Most user friendly non-programming app design platform"
The interaction between excel as a "programming base" and appsheet makes it very easy to modify apps and create new iterations to better serve the needs of the business. Appsheet always try and improve their platform either with new features or a more streamlined user interface. Sometimes if i make changes to an excel spreadsheet formula, appsheet doesn't always pick it up straight away after regenerating the columns however this could be a onedrive problem. Appsheet has a really vibrant team and community who help you whenever you encounter problems. Appsheet also tries to implement user suggested features each year and are very quick at responding to any bugs or errors that might appear. We have moved many tasks done previously on paper and pen which then laboriously were typed up to an easy app based solution which allows us to create reports for customers in a more streamlined way as well as get these reports out faster to our clients. "As a Business Analyst I can now build solutions myself." No code, but powerful functions and flow are achievable. I can prototype a solution in real-time with a user on a screen sharing session. I may even complete the change in the production app and implement NOW. Current Community on Google +. Hope the replacement will be a good or better. As the size of the apps and databases grow I will have to spend more effort and money in design and scaling. Quality of the videos and Office Hours not as good as they used to be, but still very useful if you can sit still long enough. The cost is going up, but the value remains significant. Learn by doing. Then step back and to the process analysis and data modeling needed to produce a durable solution. Employee time reporting by remote workforce integrates with project management and resource planning. Using a 'map' of the classroom seating chart, combined with student data and photos helps teachers learn names quickly and make notes of student needs and comments. Voice to text reduces time to complete inspection reports. I love the customizability of this program. I was able to start off with a basic app to keep track of inventory, then added the ability to push products to customers, created a dynamic service log and ticketing system, added views to sort through types of inventory in different price ranges and sizes, and much more. Appsheet has allowed to do way much more than I originally expected and I still have more and more ideas on ways to expand. Plus, they keep adding new features and functionality which opens up even more avenues for building creative tools. They gate certain features behind price tiers, and for the most part it's perfectly fine. However, the ability to make changes and push forth versions on an app is gated behind one of the top tiers. If I want to try making something in the app, I have to make minor changes while live and hope it works, otherwise the app breaks, I have to revert the change, and keep trying (all while my users are still using it). I'd like that feature to be gated at a lower price tier or baseline. I originally used Appsheet because I needed a customizable inventory management app that could sync over google docs with all my users, that I could also use to keep everyone up-to-date with holds on specific products or notify everyone when products are sold. Since then, I've used the app to help with efficiency in our service and moving departments, and created follow-up tools for outreach, and an ad tracker to stay on top of renewals. This has helped me and my business so much with efficiency. Very easy to use, AppSheet makes possible to deliver simple apps quickly, and with no coding skills. It´s a Plug and Play like solution that can really be used from the beginner to the expert users. After deployment, knowledge dissemination is easy and interfaces can be intuitive using color variations and icons. Slices are handy and make project very customizable. It would be great the possibility to connect on local servers and configure a internal database. Also if some coding (python for example) could be used together with interface, it may be easier to heavy users deal with. AppSheet has a great support on documentation and on community. Almost all questions are already answered and it´s very simple to create and start using. The solution is a innovative way of making your lab "live" as it can, creating the functionality, deploying, versioning and publishing. The possibility to deploy test apps to validate projects is a money saver. You can adjust your needs and later develop with IT team a more complete solution, defend your idea within director board and "sell" the project showing the real results of the implementation. Hi Gustavo, thanks for your feedback! Great to hear you're saving time and money with rapid iteration on AppSheet. Also, to clarify, on-premise databases are possible with our business plans if that's something you're interested in exploring. "Amazing way to collect and to work with information "
4. Is possible to personalize a lot of screens views in you app. 2. Could be translated the platform to Portuguese - BR and others principal languages. 3. There are consultants available to help ends user in the native language. 4. To offer you tube videos in native language. With this, I believe that a important number of people you have more interesting to now AppSheet and started to work with this. Is a good features to help in your routines activities. Your colleagues will like to use a smartphone or tablets in your day-by-day. Is aligned with Industry 4.0. You will reduce the number of worksheets that need to be filled and the amount of paper you spend may also be lower. Collecting information in a smart way. People like to use a app in your day by day. - Check product expiration date. "Easy to build power application capabilities that streamline the ability to assess baseball players." The number one thing that made this product successful for me was the amount of awesome and easy to find and follow documentation. From the online forums to the documentation and especially the YouTube videos it was easy to find help to understand how implemented more mature capabilities. The thing I like the least is the lack of clarity and control over what AppSheet has access to when "allowing access to google account / drive". I know that some of this is really google limitation but from a user that is dealing with potentially private information it limits what I am comfortable doing in the app and drive connected to the application. It will blow your mind how much you can do with this application. If you understand data and relationships and have some coding background you will LOVE this platform. I am the president of a local little league with about 800 kids that play in the spring season. We have to assess players (around 600 of the 800 actually assess) and that information has to be tablulated, aggregated and redistributed to managers. Google forms didn't provide the ability, without undo complexity and usability issues, to solve for the ability to assess and score players efficiently. This application has allowed us to take was a very cumbersome process for managers assessing and take countless hours to manage the data entry and reporting and made the process easier for the managers and allowed us to provide data in minutes. By increasing the ease of assessment and the transparency of the data we are able to improve quality of data while reducing the effort with collecting and managing it. Users and league reviews were highly positive. AppSheet is very intuitive, easy to learn and there is a great support. I became a full time App developer within a year thanks to AppSheet! You don't need to have programmer skills at all. Just be a bit curious and you'll succeed quickly with AppSheet. AppSheet is the agility tool! Well, there are not many thing I dislike since AppSheet release new features almost every week. One of the greatest strengths of AppSheet is the support they provide do not hesitate to contact them! If you are familiar with excel or googlesheet formula and stuff like that, you'll be very quickly able to make very nice features with AppSheet. Think also about downloading some of the sample Apps on AppSheet site, this is a very good and fast way to learn the platform. Some of the YouTube videos are very interesting tutorials too. AppSheet also made an App for feature requests. So if you need something that is not currently available, don't be affraid to ask for it. AppSheet team is very likely to consider your request and develop it. Any company process can be done with an App. I estimate that several hundred of thousand € have been saved last year at the company I work for. I made Apps for industrial maintenance technologies that allows a lot of time gained and a much higher service quality for our customers. I also made Apps for internal processes so as to gain time and flexibility. "Like LEGO's for building Apps"
I've now been using appsheet for over a year. I think using Appsheet is a lot like using LEGO's. Legos let you build something simple, like a wall, with very little effort, but you can also build something like the Millenium Falcon out of them too, you just have to have some determination, patience and the willingness to learn (especially from the community). Outside of Google Sheets, Appsheets is my very favorite software...and I'm definitely not a programmer. The most difficult part is understanding the logic behind how the tool works. Ultimately this is learning how to understand the logic behind relational databases (they have lots of tutorials and the user community is very active and helpful) and then leveraging the tools that Appsheet gives you to build them. For me, this took about 50 or 100 hours of puttering around building ever more complicated apps. This can be VERY frustrating because you create errors you don't understand for reasons that are very opaque. All I can say is "Keep Trying". At some point, everything just clicks and it gets easier by about 5x. The most challenging part from a deployment perspective is getting end users to download and install the app(s) because it's a two step process. First they have to download appsheets and then they have to download the app. It seems simple but it's amazing how many people struggle with something as simple as that. If you don't understand the theory of how relational databases work, you're learning curve will be a little more frustrating. Once you get the logic behind relationships of different data and how important it is to break down the data into relatively narrowly defined tables (it's ok if this doesn't make sense, it didn't to me either at first) it get's much easier. The tool itself is really easy to use, if at times mildly tedious. Property Inspections, Service Tracking, Basic CRM and we're now working on developing a quoting app that will let our salespeople build quotes in the field. "A great App, very professional and user friendly." I like the variety. I feel like I can build much different stuff on it, without being a developer. Moreover, I have control over my app, I can changed whatever I need whenever I need. Thanks to the app, I track my business in an accurate way and can recognize trends of customers, and employees performance, which help me a lot. Unfortunately, the app that I built works really slow, which damage my team performance. The syncing is really slow. Another point, the building platform of the app could be a little bit easier, because at the moment I am not sure that I used everything that the app can offer me. Please check the speed of the app, without paying higher amounts of money. I have 10 employees which I pay only 1$ per month for each, but unfortunately, the app is really slow. However, besides that all good. I can track my sales, trends, working hours and employees in general. It saves me money, by building my own app without relying on other companies. The idea that I can change any feature whenever I need is great. Moreover, I use the excel files in order to analyse the business performance. I that case, I also want to offer you to build a feature that allows your users to see the excel tables on graphs, because it is very important and not everyone knows how to build such graphs that authomatically updated with the sales. In case that you do that, I will be happy to hear from you. * We monitor all AppSheet reviews to prevent fraudulent reviews and keep review quality high. We do not post reviews by company employees or direct competitors. Validated reviews require the user to submit a screenshot of the product containing their user ID, in order to verify a user is an actual user of the product. Hi there! Are you looking to implement a solution like AppSheet?